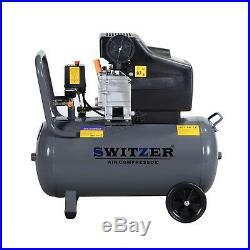 SwitZer Air Compressor 50L Litre LTR 2.5HP 8 BAR 230V 9.6CFM Wheel AC001 Grey. Great Products at Low Prices. No product reviews yet. Order before 2pm for same day dispatch. We will try our best to resolve your problem and make you satisfied. Your message will be replied in 48 hours. THIS ITEM IS NOT AVAILABLE FOR COLLECTION. 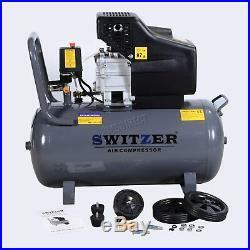 SwitZer Air Compressor 50L Litre 2.5HP 8 BAR Pressure 230V 50HZ With Wheel AC001. 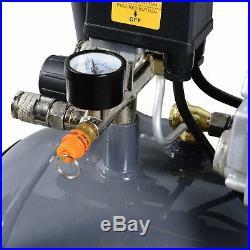 This is for Home or Workshop; Ideal for many applications such as spray-painting, tyre inflation, nailing, stapling, sanding, drilling, cutting and grinding; Aluminium cylinder head with cast iron cylinder gives added resistance to wear; High displacement; With wide transport handle; Large wheels increase maneuverability; High-quality bearing guarantees long life; Welded tank complies with latest European standards; Front Omni-directional wheel; Fitted with fully automatic pressure cut-out switch with twin gauge displaying tank and working pressures; Please Note: We use copper wired motor not like others use cheap aluminium wired motor. 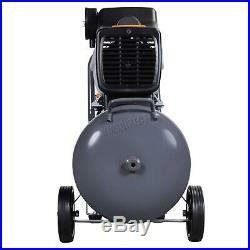 Model No: AC001; Colour: Grey; Voltage: 230v; Frequency: 50Hz; Power: 2.5HP; Air Displacement: 9.6CFM; Air Outlet: 1/4; Rated Speed: 2850R/Min; Noise level: 97dB; Tank Capacity: 50lts; Compressor Operates at 8bar; Dimensions: 675(L) x 330(H) x 625(W) mm; BS1363/A 13A household plug. 1.5M cabel; Front Omni-directional wheel and 2x back Wheels; Carton Size: 80 x 33 x 70.5 cm; Weight: – N. 28 KGS; – G. This is for Home or Workshop. 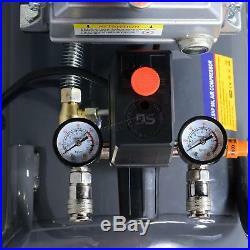 With Aluminium cylinder head and cast iron cylinder gives added resistance to wear. Suitable for general-purpose workshop applications. 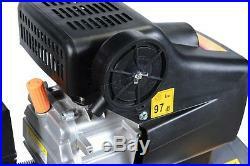 Pump head directly coupled to heavy-duty induction motor for reliable and quiet operation. Welded tank complies with latest European standards. 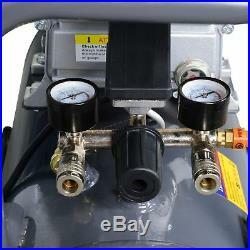 Fitted with fully automatic pressure cut-out switch with twin gauge displaying tank and working pressures. This product has no reviews yet, however see what our buyers say about our other products.. Due to courier restrictions we can only dispatch items up to 30kg and up to 150cm in length at a surcharge to the below locations as identified in Zone 1. If you are located in any of the postal areas identified in Zone 2, please be advised additional charges may apply beyond those generated as standard on checkout. Zone 2: Scotland: G / DG/ EH / KA1-26/ KA29+ / KY / ML / PA1-19 / TD / DD / FK / PH1-3 /. We use the best couriers available to us to ensure that your product is received on time and in great condition. Please ensure that someone is available to sign for the item as signatures are required. Faulty or Damaged items. Customers are welcome to return unwanted items to us within 30working days as per the Consumer Rights Act 2015. Please note that customers are responsible for the return costs of unwanted items. Unwanted Items – returning outside of 30 days. We are located on private land which does not permit admittance unless authorised by the land owner. You may also like.. Sign up to our newsletter for new products and special offers! 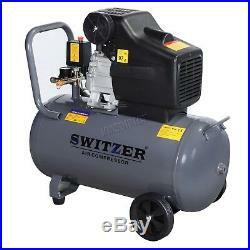 The item “SwitZer Air Compressor 50L Litre LTR 2.5HP 8 BAR 230V 9.6CFM Wheel AC001 Grey” is in sale since Wednesday, September 12, 2018. 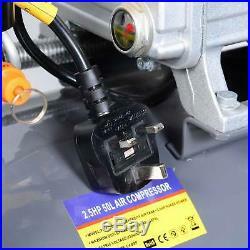 This item is in the category “Vehicle Parts & Accessories\Garage Equipment & Tools\Air Compressors & Inflators”. The seller is “kmsdirectshops” and is located in Wickford. This item can be shipped to all countries in Europe.